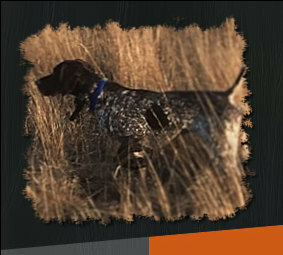 NAVHDA has a complete testing program to evaluate your dog's progress from pup to finished hunting companion to a Versatile Champion. For questions regarding the Heartland Chapter testing you can contact the Test Secretary ( listed below) for test you are interested in entering by phone or by emailing heartlandnavhda@gmail.com. If you don't receive a response within 2 days please feel free to contact one of the other chapter test secretaries and we will assist you. Please do not call after 10:00pm. To secure a spot in a Heartland NAVHDA Chapter Test, the Test Secretary must receive both a completed entry form and the entry fee. An entry form is no complete unless all required information is provided. Entry into a Heartland NAVHDA test is on a first come first served basis. Entry into a Heartland NAVHDA test is not secured until the Test Secretary has received the entry form and payment. NAVHDA registration is required of all dogs running a NAVHDA test. The NAVHDA registration number is required on the entry form. The Test Entry form can be found on the International NAVHDA website. Complete the form, print, and mail with the check for entry fee to the test secretary. An entry may be withdrawn at any time, an entry fee refund will only be issued if the test was full at the time and the spot was filled by a dog on the waiting list. In the case of a withdrawal before the test was full, a refund of the entry fee will be issued if the test subsequently reaches capacity. Heartland NAVHDA does not carry over test entry fees to another test. If you would like to enter another test you will be responsible for sending a new payment and entry from to the Test Secretary responsible for that test. An entry may be withdrawn if the dog has a disabling injury or illness, a refund will be issued on receipt documentation of a veterinarian. An owner may substitute a dog of the same testing level for a dog already entered in the test. An owner may substitute a handler of an entry. However, changes of both dog and handler are considered a new entry and must go to the end of the waiting list if one exists. If a substitution occurs the dog owner is required to submit a corrected test entry form with the new information. If your entry is received after the test has been filled, you will be placed on a waiting list and receive notification. If you do not want to be placed on the waiting list you can request to have your entry fee and test entry refunded at that time. Entry fees for those not placed as an active participant of the test will be refunded/returned and your entry form shredded.